It takes a curious nature to travel the world. It takes an intelligent and inquisitive mind to pursue medicine as a profession. It takes impressive determination to overcome barriers to education where access is limited. It takes a selfless compassion to be dedicated to healing others. It takes a caring and magnanimous nature to be a helping hand in one's community. In learning about the impactful life of Dr. Dinubhai C. (D.C) Patel, a gastroenterologist who passed away from cancer in 2010, it becomes clear that he was a man of these qualities. All it takes is to hear or read about the effect on those he was dedicated to serving and you get a sense of how these traits personified the man. A new Fund at the Community Foundation established by his family will carry forward those qualities and perpetuate their dedication to health, education, and helping those in need in the community. The Patel family has gifted their beautiful family home in Elyria, where D.C. and his wife Minal raised their two daughters and shared a lifetime of happy memories, to establish the D. C. Patel Fund. At the time of this publication the home is freshly on the market and has already had promising showings. Dr. Patel's wife, Minal, also a physician, recently opened the home to us for a tour as we finalized the arrangements for creating the Fund. Sitting with us in the living room Mrs. Patel shared why she chose to honor the memory of her husband through charitable giving. The living room was flooded with the bright sun of a late summer day; the weather and location felt like a perfect frame for the happy family photos that she shared with us. Photos of D.C. with her and their two daughters Rachna and Rakhee smiling in the bright warmth of other sunny days: in Hawaii, a blue ocean expanding out beyond the horizon behind them; of D.C. and their daughters in front of Epcot Center with video camera in hand to preserve the memories of that trip; of D. C. alone, standing before the Great Wall of China; posed in near alignment with the Sphynx and one of the pyramids at Giza; and playfully using forced perspective to grip the spire of the Taj Mahal. It is easy to see that the Patels have many happy memories to share, but more needed to be left behind here than memories. 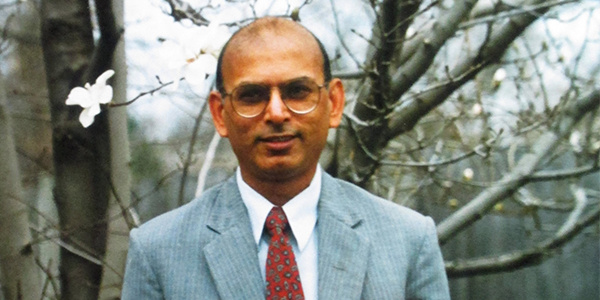 The permanent endowment memorializing D. C. Patel's life and work will continue the commitment they made as a family to serve those in need in the community. Dr. Patel was born in Woblenzi, Uganda, where access to schooling was limited and he was primarily self-taught until attending a boarding school for his middle and high school education. In 1972 he graduated from medical school in India and then came to New York to complete his residency in Internal Medicine and his fellowship in Gastroenterology. The Patel's were married in 1972 and first moved to Elyria in 1981 after completing their residencies in New York. The Patel family has strong representation in the medical profession with siblings and cousins who are also physicians. They chose Elyria because they had other family members living there and felt it was a good place to raise children and be a part of a community. Dr. Patel became very much a part of the community in Elyria. He practiced at the E.M.H. Regional Healthcare Center for over 20 years. During the 30 plus years they lived in their Elyria home, Dr. Patel was actively involved in a number of clubs including the Elyria Rotary Club, the Oberlin Golf Club, and he participated in community events including volunteering at the Elyria Apple Festival. Our tour of the Patel home made it clear that this house, tucked in on a quiet cul de sac off of Gulf Rd., held many memories for Mrs. Patel and her two daughters, now both grown and living in California. The home impressed us at every turn with dramatic entry, ample closet and storage space, and an expansive basement that would be a perfect indoor thoroughfare for scooters and bikes. Outside, a cheery deck and trellis overlook the tranquility of the backyard, framed by Japanese maple trees, lush green grass, and fragrant blooms from the landscaping that gave it more of a park setting than that of a suburban home. 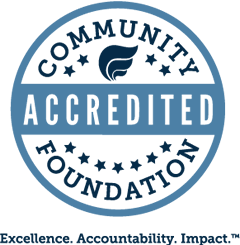 The D.C. Patel Fund at the Community Foundation of Lorain County will generate grant money for health, education, and feeding the poor in Lorain County. Mrs. Patel hopes that her family's decision to donate the home will inspire others to consider gifting real estate as the vehicle for change in their communities in ways that reflect their life's passions, priorities, and create the legacy they wish to leave behind, forever.